Plans to increase the cost of probate with the introduction of banded fees will see estates valued at over £1m paying £4,000 in fees from 1 April 2019. However, original proposals to charge up to £20,000 for estates worth over £2m have been dropped. The estate value threshold will rise from £5,000 to £50,000, removing around 25,000 estates annually out of fees. 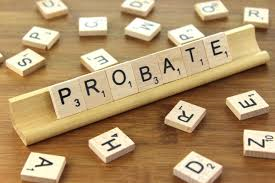 Currently a flat fee of £155 is payable upon a probate application made by a solicitor or accountant or £215 for an application made by an individual. This will be replaced by a sliding scale of fees linked to an estate's value, ranging from £250 to a £6,000 maximum.